A little information about BE REAL Shoes, they have created a shoe design that is an all-terrain, as well as minimalist sole. 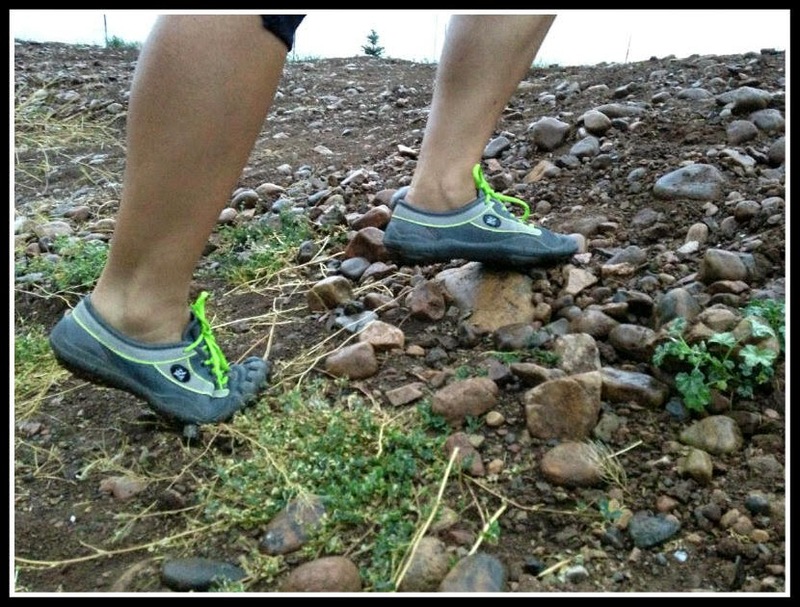 In other words, these shoes are made for trails, grass, water and even urban landscapes. Best part is they are made in the USA, with a sole that is 100% recyclable. I've actually been testing out a few different minimalist shoes lately. So this worked out perfect for me, because these are unique, unlike any others I have even seen or tried. To give you a little information on my feet (because all feet are different, and work in shoes in different ways.) I have extremely high arches. At full pressure, no part of my foot arch touches the ground. I have not had any foot injuries, and have not had any foot or leg injuries of any kind in many years. So according to what they say, I am the perfect candidate to attempt a transition into minimalist shoes. 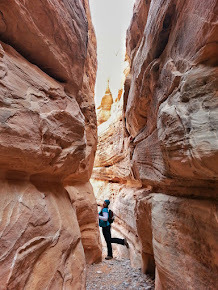 I run and hike on various surfaces all the time, road, gravel, mud & streams, trails and even sand. I really liked the style, I actually thought the color I received was quite cute with the green and gray. Overall, they are a pretty sharp looking minimalist shoe as you can see in my pictures. They are different, so you will get comments and questions on them when others see you in them. But that was okay, I enjoyed explaining the difference between these and other brands I have tried that separate the toes. Since I have a smaller skinnier foot, I liked the fact that the toes weren't separated. These shoes have a very wide toe area. I mentioned above that they do not separate your toes like other minimalist near barefoot running shoes that I have tried in the past. Which was kind of nice not to have the toes pulled and separated. But the larger toe area takes a bit of an adjustment, and I am not going to lie. Even though they look fine on, when you first put them on you kinda feel funny walking around in them. It takes a few days to get used to the wider toe area. Which isn't a bad thing, in fact I believe they were designed this way for a purpose and once you are used to it you don't really notice it too much, other than your feet just feel a bit more free. I've only been trying these shoes for about a month, so I haven't had enough time to transition into them fully, and get my feet completely used to them. But I do have plans to continue to use them more and more for certain things that I'll explain below. I took them out on trails and they did pretty good. It was quite an adjustment at first, I wasn't used to feeling every rock like that. They did okay, but at with my high arches I had a hard time and had to really take my time to break them in. I had to be careful not to go too far in them for too long at first because when I did, I would feel it. I did feel like I could get a really good grip on the surface I was running on, I wasn't worried about slipping or anything. I actually liked that I could feel the curve of the trail, and I felt pretty stable in doing so. I already knew when you are transitioning into a minimalist shoe it can take several weeks to months, so I only took them out for short periods at a time to break them in. I honestly believe someone with normal feet, or even flat feet would transition into these for trail running much, much faster than myself and my very high arches. Rocky terrains take a bit more time, but softer mud and sandy terrains are quite a bit easier with them, and they actually feel pretty good running on those, its very similar to barefoot running. Which is kind of fun to have that feeling, and still have a little protection. I put them to the test on regular surfaced roads. I made a really big mistake at first, and I thought I could just go out and run in them. This was a rookie mistake on my part. I should probably have started walking in them first and then gone into a slow run and done more of a walk/run thing at first. But I didn't, so I was in a lot of pain, I could barely walk back to my house after. I really think it is because of my high arches, I hate to blame them on that, but I do believe this is true. I think someone with flater feet or even just normal feet may have a completely different road experience than someone like myself. So for me concrete was too much of a painful impact for me, and I only tried it on a solid surface like this once. If I lived near a beach, I think these would be the perfect beach running shoe! You have a little protection, but yet minimalist enough to feel like you are running barefoot. Even someone like myself with high arches running in sand in these, they are great! 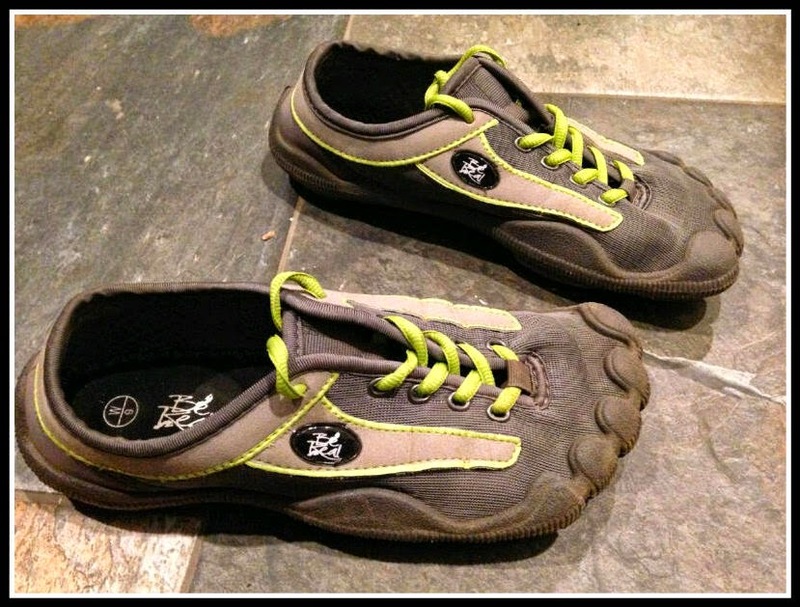 If you are training for trail tri's, this is also a shoe you may enjoy. You can run through a creek, or even walk in them as you are going up or down a river. I didn't notice any slipping, and again I felt pretty stable in these, the only thing is you feel everything. But you don't have to worry about a sharp rock cutting your foot open, so that is nice. But in a way, that is the point of wearing a shoe like this. 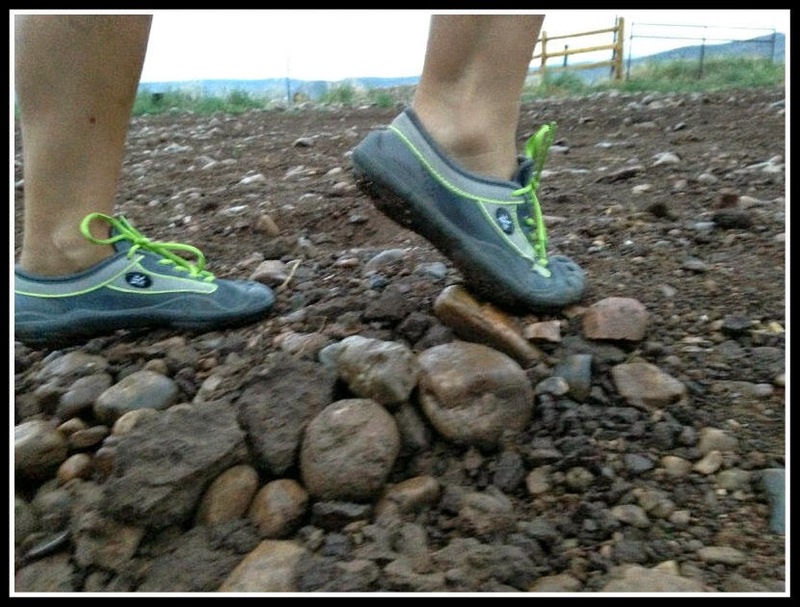 If you are out hiking and need to do a little boulder hopping, these shoes are great for it. 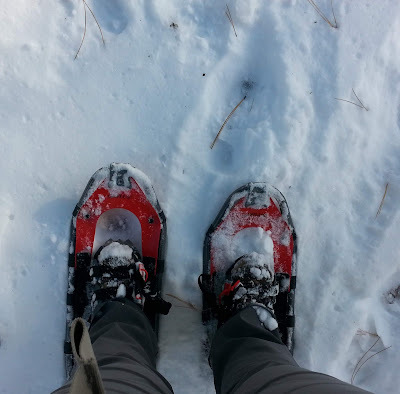 I enjoyed wearing them as I tested them out in the mountains for this. I've got a little more in about a week that I am exited to take these out for a hike in. Although this is just my opinion, these shoes are great to help with correcting heal striking when you are running. Why? Because when you have these on, you don't have a regular running shoe's cushion. So you automatically come down on the ball of your foot rather than the heel. If someone is trying to correct a heel strike, you'll find these to be the perfect solution to correct this. My over all opinion, they are a good shoe. Although I won't be running in them on concrete again. Trail running is what I am going to be getting the most use of them in. 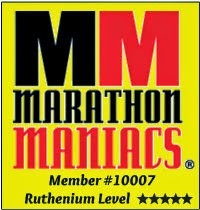 I need more time to use them before I am running 10 milers in them. But they are very lightweight and compact, so as I am transitioning they can easily fit into slot pocket on a water pack and be used off and on through a run and I loved their lightweight feature! Another feature I really like is they are super easy and fast to put on. 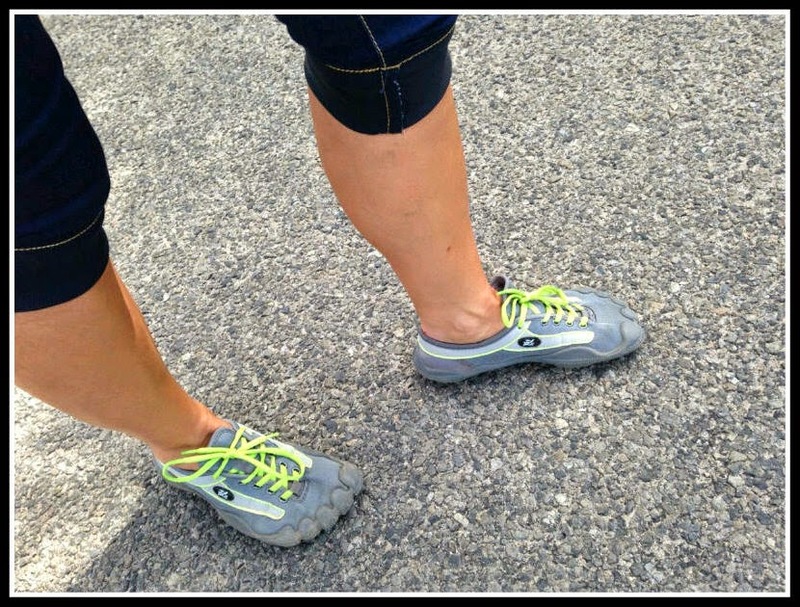 If you've tried other minimalist barefoot running shoes, you'll know that this is not an easy fast thing to do. BE REAL Shoes are super easy to slip on and off, because you don't have to try to worry about getting your toes into toe slots. Which is great, because no one likes to spend time fussing to get their shoes on, we love to be able to put them on fast and get out the door! I'm going to be doing a lot of camping and hiking over the next few weeks, and although I'll bring a back up pair just in case. I don't think you are going to see me in anything other than these. I really do like them on trail and off road surfaces! I also like that you can wash them out, and not have to worry about ruining them. They are made to get wet, and they dry fast! My recommendation is if you are looking for a minimalist shoe, these are a much easier shoe than others to wear. If you have high arches like me, yes it's going to take a lot more time to adjust and it is a little painful at first, so I'd suggest using them with caution when starting out. I am not sure if I would recommend these to someone who has Plantar problems, because of the impact. But then I am not a doctor, so maybe ask a podiatrist first if you are injury prone before you start using them. Even though I can't say for sure, I really do believe normal and flat foot runners would really have a much faster and easier transition than high arch runners in these shoes! I do want to thank BE REAL Shoes for giving me the opportunity to try them out. explaining a bit more about the shoes and giving you a better introduction. Disclaimer: I was provided a complementary pair of Be Real Shoes for my review. I was not asked to write a positive review, all thoughts and opinions above are my own.